Folklore: Milk-thistle is a strikingly beautiful member of its family – with its sharply serrated, white veined leaves they cannot be overlooked. The name ‘Milk-thistle’ refers to a legend according to which 3 drops of holy milk from the Virgin’s breast is said to have dropped on to the leaf, forever marking it as an herb of our Lady (formerly known as the Great Goddess). Many mornings I am up before the Sun starts to peak its way up. I love these mornings now that the warmer weather is coming and the birds are returning, singing for a mate it makes this time of day even better. I also love as the Sun rises I can still see the Moon as it sets to shine over others. For me I feel the balance of night and day, I will stop somewhere that I feel is in the middle of the two to ground more and open myself up more to the universe and to help regain any balance my spirit, mind, and body have lost over the last week. After standing still for anywhere from a minute to, some days, fifteen minutes I continue on my way to wherever I was headed – usually the train station to watch my two youngest grandsons or to one of my jobs – feeling more energized, happy and content being me. Be sure to thank the deities and universe for their help. I ask you to get up at least one morning a week and try this out for yourself. First put roots from the bottom of your feet down deep into Mother Earth, next open your Crown Chakra to your deity and the Universe asking them to cleanse you down to every cell in your body. Next take a few deep breaths while picturing all the pain, anger, hurt and negativity being pushed down from your head all the way through your body to exit through your feet. Ask Mother Earth to claim and rejuvenate the energy for her use. Then ask the Universe and whoever else you want to call on to fill you with positive energy, love, and laughter. Some weeks or even days you may have to do this more than once… I know there are days I need to. Please comment about your experience as it might help someone else who is struggling for balance. We can all learn from each other. Many happy, positive blessings to you dear ones! This ritual is one which can be done on behalf of an ill friend or family member. They do not have to be present for you to do this ritual. In many traditions it is customary to at least ask permission before doing healing (or any other sort of) magic. However, it is often acceptable to assume you have implied permission – in other words, if you believe in good faith that the individual would want you to perform this rite on their behalf, then you may go ahead and do so without specifically asking for their approval in advance. Follow the guidelines of your own tradition’s belief system and ethical standards. This ritual asks the goddess (or god) of your tradition to watch over the ailing individual and assist them with healing. In the class, part of what will be taught is which Platonic solid corresponds with each Chakra and how to use them for Healing & Balance. The class also includes an Introduction to the 7 Major Chakras. I know I am looking forward to learning more in Ashley’s class! I wish I could take my mother to her favorite campground to heal and renew. Unfortunately she lays in a hospital in a lite coma unable to communicate with her friends and love ones. May Day is the ancient festival of Beltane, the midway point between the vernal (spring) equinox and the summer solstice. The days are growing longer, coaxing the earth to open to the life-giving qualities of the sun and to bring forth every kind of fruit. Beltane is a celebration of the fertility of the earth and the fertility of our own souls. It is a call to gratitude that everything in the universe is continually being re-created, including ourselves. The air and Earth begin to warm, Spring has arrived in full force and is making way for Summer. The leaves and grass have greened and the flowers are in full bloom (as are the allergies for some!) Man and woman begin to start their lives together, new loves are born, new lives are created. During this time, the herds of cattle were driven through these fires to clean off the ticks and mites and also as a symbol of purification to protect them. They were left to graze in the pastures until the new year and winter. 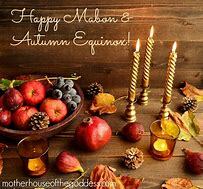 Witches’ celebrate the fruitfulness of Mother Earth in the union between Witches’ celebrate the fruitfulness of Mother Earth in the union between Her and the young Horned God. This coupling symbolizes the new fertility of the Earth, the beginnings of Spring going into Summer. May or Beltane, has traditionally represented the sensuality and revitalization of love-making in all living things. This is why many couples traditionally marry around this time of year. In ancient Celtic days, couples would live together for a year and a day, after which they may decide to get married or part ways. The Celts believed in the idea of marriage, but understood people and nature grow, change and sometimes move apart. This is not to say they did not believe in the family unit and still remain together as a family. Beltane/CetSamhain/MayDay – The first day of May is celebrated in many parts of the world. It is believed it evolved from ancient agricultural and fertility rites of spring. There are signs of the first celebrations in Egypt. However, the majority of the current traditions stem from the Roman Festival, Floralia. This was a five day festival to honor the Goddess Flora with offerings of flowers, dancing, ringing bells, May Queens and erecting a Maypole. The May Queen would oversee crops and rule the day. Some places also selected May Kings. The crowns were typical made of twigs, leaves and flowers. The Maypole was typically fabricated the night before. The men would strip down a birch tree and plant it in the ground; this ceremony was symbolic of fertility rites. The next day both men and women danced about the Maypole. Several longs ribbons hung from the top of the Maypole holding up a crown of colorful flowers. Each dancer held an end of one of the ribbons. The dancers alternated man and women. All the women would dance in one direction and the men danced in the other direction. The dancers would go under the first person and over the next weaving the ribbons about the tree and lowering the ring to the ground. Today this tradition is still practiced but danced mostly boys and girls. The Celts had a similar celebration known as Beltain, Beltane, or Bealtaine which in Gaelic means “Fires of Bel” or “Bright Fires”. The ceremony honored the god of the Sun and the rebirth of the earth. Feasting, games and bonfires, began on the eve of May Day and continued through the next day with a day of bonfires and merrymaking. It was customary for couples to walk through the fires smoke or leap over the flames to insure a successful relationship. Faeries were (and are) abundant on the first day of May. Windows were decorated with flowers and food was left on the doorstep to keep the mischievous faeries out. Those traditions created a wonderful medieval holiday that is still celebrated today. We still elect May Queens and Kings and dance around Maypoles. During this time women would wash their faces with the May Day’s morning dew believing it would bring a good complexion and everlasting beauty. People began gathering twigs and flowers to decorate their homes and the lovely tradition of May baskets began. Children would leave baskets made from twigs and filled with flowers on their neighbor’s doorstep, knock and then hide waiting to see the expression of the lucky recipient. 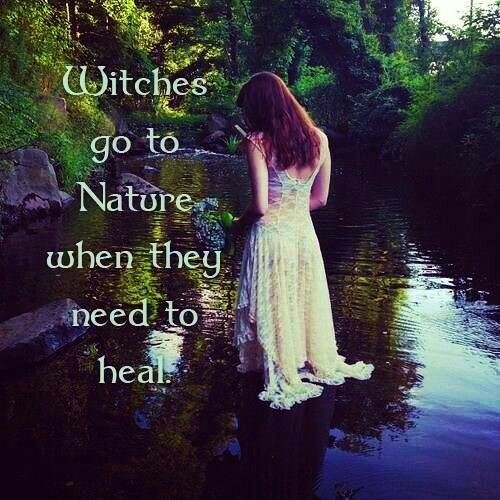 From: GrannyMoon’s Morning Feast Archives Coventry of Healing Arts and Pagan Studies Enroll Now!